There are several places on the iPhone 5 where you can make adjustments to improve battery life. 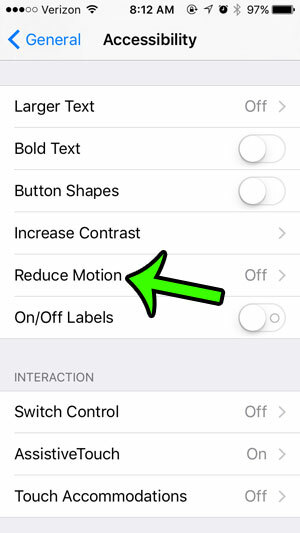 One of the more common suggestions is to enable a setting called “Reduce Motion.” There are some subtle places on your iPhone where there is some movement that improves the appearance of the user interface, but this is often just for aesthetic purposes. 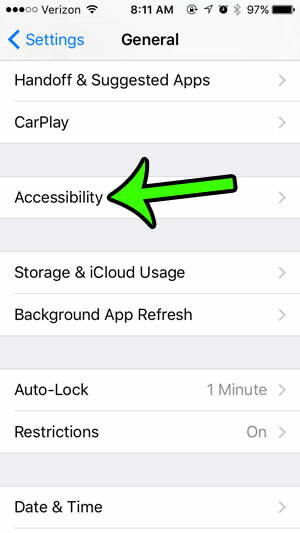 By enabling the “Reduce Motion” setting you can eliminate this unnecessary movement and extend your battery life by a bit. Our guide below will help you to find the location for this setting so that you can enable it on your device. The steps in this article were written with an iPhone 5, in iOS 9.3. These steps will also work for different iPhone models using the same version of the operating system. Step 2: Scroll down to select the General option. Step 4: Scroll down and select the Reduce Motion option. Step 5: Tap the button to the right of Reduce Motion to turn it on. 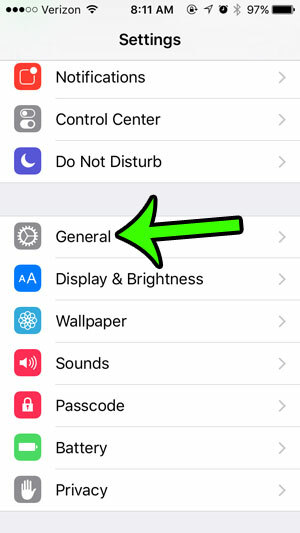 This setting is going to change the way that some of the features on your iPhone behave but, for many iPhone users, the difference is barely noticeable. Perhaps the most obvious place where you can notice the change is if you had a Home screen background that moved. 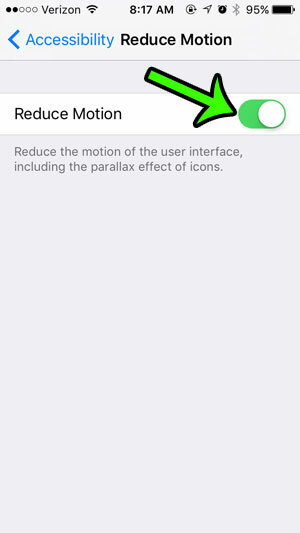 When you have enabled the Reduce Motion option on your iPhone, that movement will stop. One of the most common reasons to enable this setting is an effort to improve your battery life. 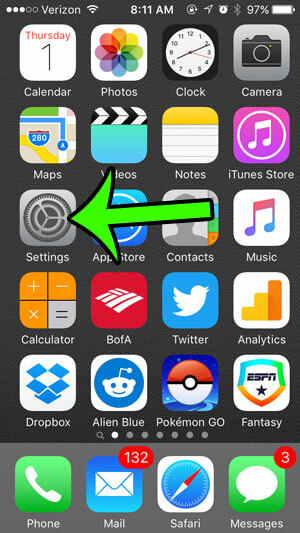 Another setting that you can adjust to improve in this area is the Background App Refresh. Click here and learn how to find and adjust that setting.